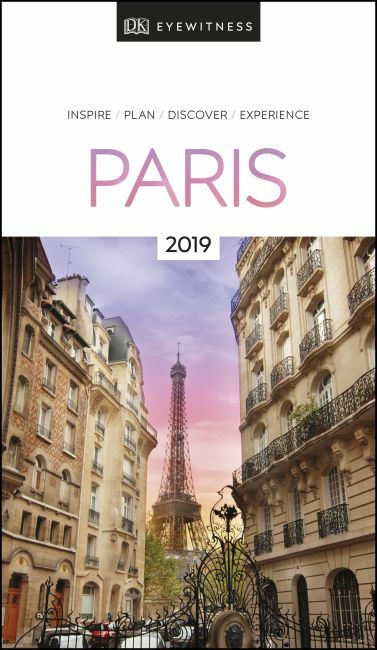 "It's worth popping a copy of DK Eyewitness Travel Guide Paris 2017 into your case, too, no matter how well you know the city." Find your corner of Paris with this essential travel guide to this beautiful city, designed to help you create your own unique trip and to transport you there before you've even packed your case - get a bird's eye view of Paris from the Eiffel Tower, admire the art at the Louvre and the Pompidou Centre, or take a stroll along the Canal St-Martin. The DK Eyewitness Guide to Paris covers the must-see sights and the hidden corners, so you won't miss a thing. - Reasons to love Paris: iconic landmarks, mouth-watering cuisine, lively local markets and haute couture - what will yours be? - Covers Île de la Cité and Île St-Louis; the Marais; Bastille and Oberkampf; République and Canal St-Martin; Belleville and Ménilmontant; La Villette; Montmartre and Pigalle; Opéra and Grands Boulevards; Louvre and Les Halles; Eiffel Tower and Invalides; Champs-Élysées and Chaillot; St-Germain-des-Prés; Latin Quarter; Jardin des Plantes and Place d'Italie; Montparnasse and Jardin du Luxembourg; plus sights beyond the city.